When the circumstances and unwanted obligations of her life become unbearable, Alice turns to her books for relief. They transport her to imagined worlds beyond her own, to faraway places and exotic locales so different from where she lives. The words nourish her spirit -- and her body. But bit by bit, the books are growing slimmer and the bookshelves, once so heavily weighted down, are now showing empty spaces. 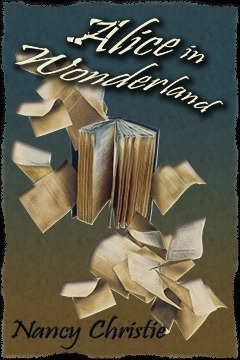 What will Alice do when there are no more pages to devour and no way left to escape reality?